This article shows how easy it is to extend Web API and provides an example of GZIP compression. 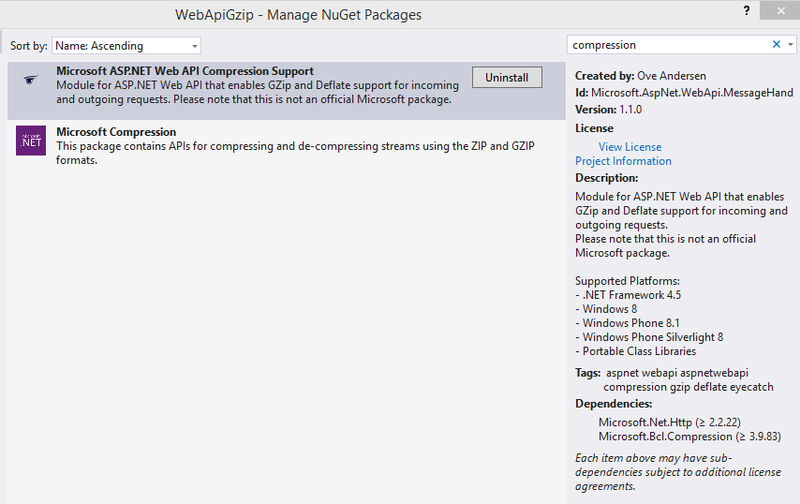 Ove Andersen has created a cool NuGet package which makes it very is to use GZIP compression with any Web API Http request/response. This package implements both client and server message handlers which can be used for the whole service or as required. 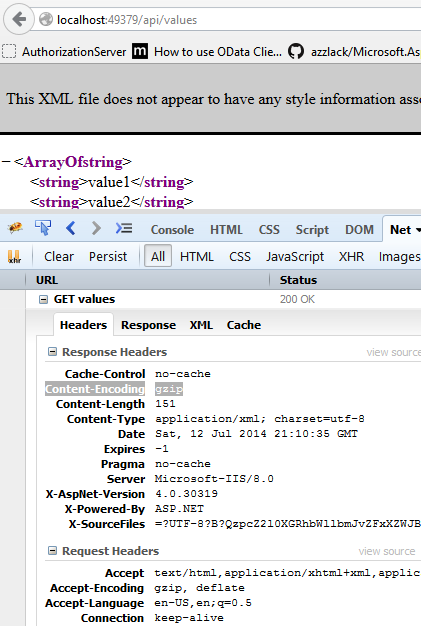 Now all Web API requests, will return a GZIP compressed response if requested in the header. The package can also be configured to only compress messages larger than a certain size, this is documented here. Ben Foster also provides a nice implementation and also a good article showing how you could implement GZIP compression with Web API. As you can see, Web API is easy to extend, you can use a finished NuGet package to implement GZIP for your service, or you can implement it yourself following the code examples. You have the choice. Thanks to the 2 authors for the GZIP implementations. Hi Damien, Thanks a lot for your post. I tried to follow all the steps mentioned in the post and found that compression is working fine with the default setting. I see in the Fiddler that the response is not getting compressed even if the Content-Length is more than 4096 bytes. Can you please help me to know is there any else I am missing out anything else. Hi Eric, strange, I’ll have a look, haven’t changed anything here in a long time.